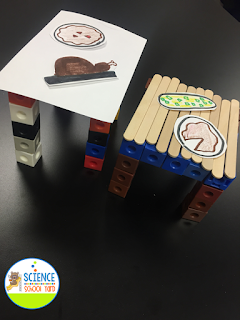 Gobbling Up Thanksgiving Science and STEM Ideas! It is hard to fit it all in during the school day, and with holidays approaching you might want to even add a bit of fun...why not do both! I have been playing with the idea of every new holiday I can connect Science, Technology, Engineering, and Math within the confines of my lesson and still cover NGSS Standards! What a great way to teach sink and float while sharing with the students the story of the Mayflower. I like the visuals of this video, but I will be posing a variety of questions as we watch and not listen...for older students it is perfect, but for littles it is too hard to understand. It ties in history, which you can do on your own. 2. How is a boat long ago, different and the same as a boat we see now? 3. What else is different in 1620? 4. What problems might have occurred on a ship if you were a Pilgrim? 5. Why does a big boat float? 6. What other things might float? 7. Why would someone want to write on a boat? 8. When would you travel across the sea? They left in September. Was that a good idea or not? 9. They needed to write down rules. Why was important to have rules? Find items around your classroom that you can place in a bucket or on a tray. Set out buckets of water. Have students test the items. Have each person draw on a sticky note something on the tray. Each pick a different item. Use an anchor chart to show and display the pictures. Holiday and Science Connection #2: Living or Non-Living with Scarecrows! Scarecrows are a perfect connection to living vs. non-living. Scarecrows are used to help farmers ward off birds that might eat the plants in a field. They look real so it scares the crows! You can find pictures in magazines to make posters to share. 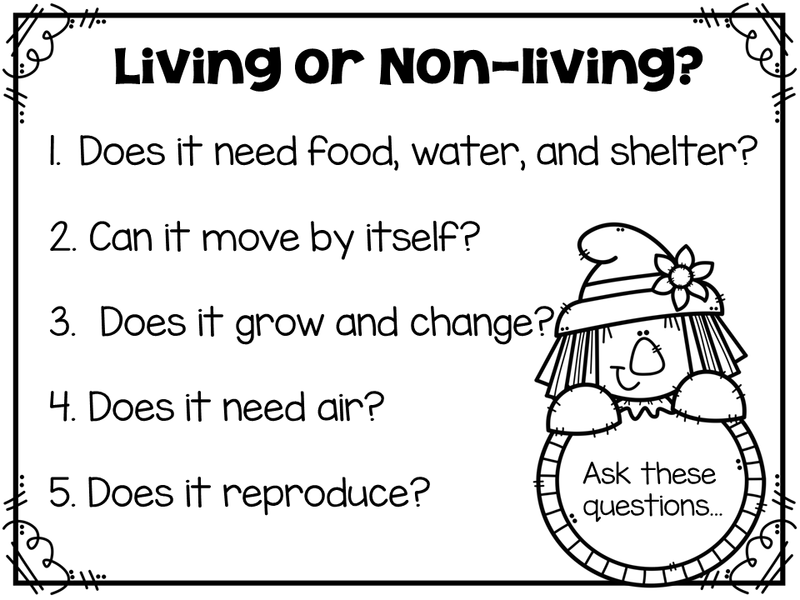 You can give word cards to each child to see if they can figure it out using the definition of living. 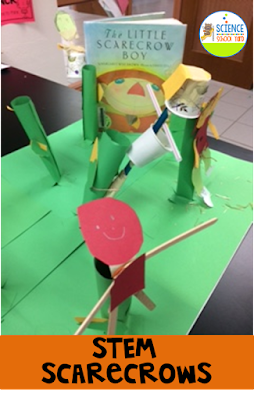 Then, how fun to create a scarecrow after reading one of my favorites: The Little Scarecrow Boy. I give my students construction paper, straws, cups, toilet paper tubes, and popsicle sticks. I give them glue, scissors, and tape...but not too much tape! My students come from a wide range of ethnicities. That means that not all of my students celebrate holidays or at least the ones that I do. So approaching the Thanksgiving holiday doesn't mean that everyone in our classes will sit down and eat the same meal we do or even celebrate that at all. There are two ways to go about an activity where students make a Thanksgiving table. . You can tie it into the history of the first Thanksgiving and share what was served then vs. what we might eat now. Or not even share what we eat now...or you can say at a holiday you might celebrate what do you eat...or you can plain out ask, those of you that celebrate with families on Thanksgiving what is your favorite food or what do you even serve. My Hmong students typically eat rice and chicken. We love making a special table for a meal we can eat with our families. We use toilet paper tubes, tongue depressors, unifix cubes, and cardstock/notecards. I love having the students make their favorite food that can then fit on the table. Here is the free lesson for you to use in your classroom! 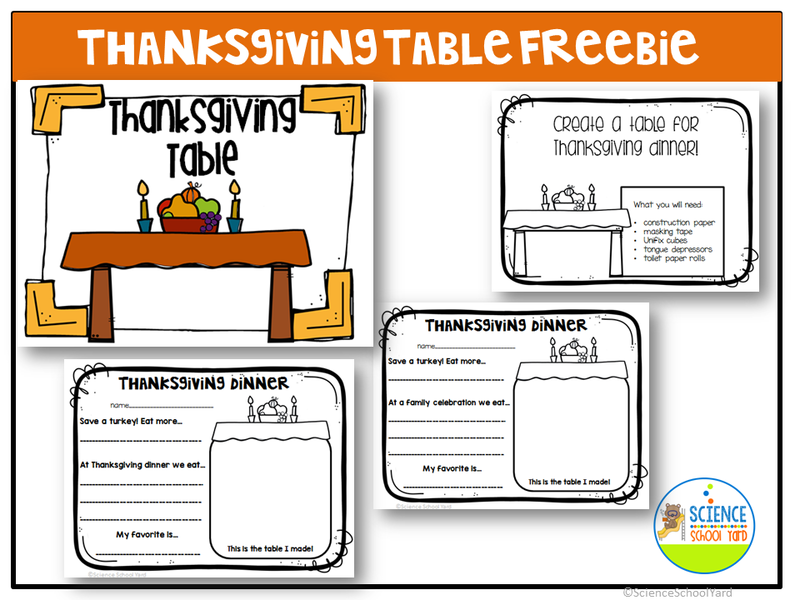 Here is the Thanksgiving Table Activity Ready for you as a fun freebie! 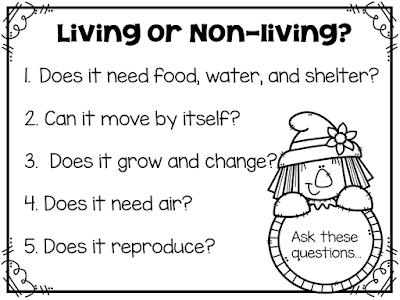 One of the NGSS concepts that I now need to cover with my littles in how animals survive, grow and meet their needs. This is for our first grade friends. What a great way to show how animals are able to survive...Thanksgiving style! Turkeys do a great job camouflaging. Many of the activities out there are for turkey to hide...how does a turkey survive without building a hideout or dress in a costume? This is a prefect way to show what camouflage means, but also do some of those fun activities to make those connections! How can a turkey survive playing hide and seek for survival? They are shades of brown and it makes them harder to spot. Try taking a coloring sheet of a turkey, have students color it to blend into their classroom as they blend in. Have a predator (school personnel) come in and see if they can find the hiding turkeys within view in your room! Give them one minute on the clock to see how many they can hunt and find! Want to join the fun with Holiday Science and STEM? 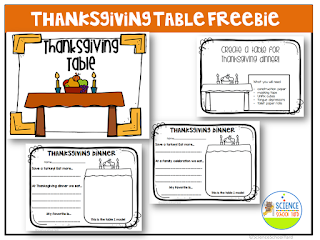 Thanksgiving Science includes connecting social studies, math, science, games, and STEM engineering projects with a sprinkle of tradition all in one spot to make it easier for you to print and go! This pack focuses on Buoyancy with sink and float activities, Camouflage with the concept of how animals survive and protect themselves, as well as Living and Non-Living as we add some scarecrow activities to the mix! 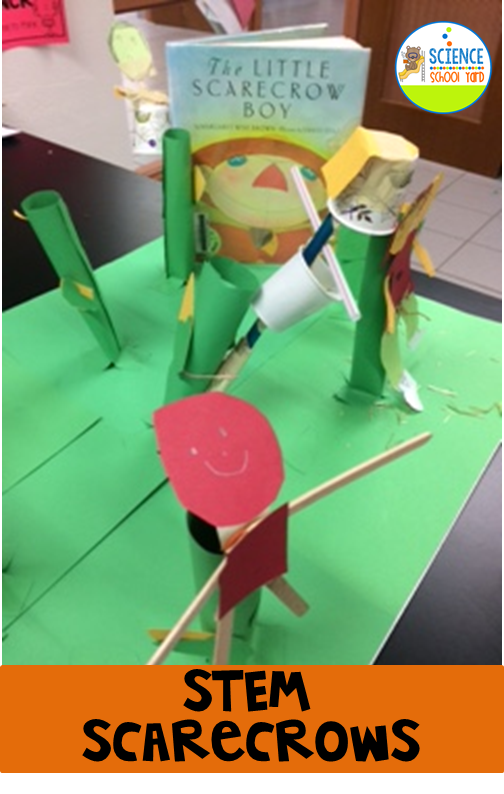 What a perfect way to tie it all together with each concept having games, activity sheets, and a STEM engineering project using simple supplies! 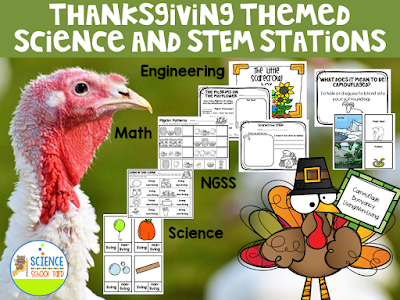 Here is the Thanksgiving Science and STEM Pack...check it out!